Kingston Construction’s involvement in seismic upgrades dates back to the mid’ 1970’s. From simple concrete deck overlays to total structure upgrades, we have been involved in upgrades to nearly every bridge structure in BC’s Lower Mainland. The Second Narrows Bridge, one of Vancouver’s most used structures connecting Vancouver to the North Shore. 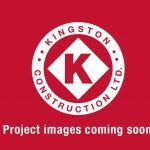 Kingston was responsible for the substructure seismic upgrade on the north substructure. Work included upgrades to footings, columns and crossheads to ensure stability in the event of an earthquake. The Queensborough Bridge, located in New Westminster, BC, is an important arterial route for Highway 91 South. This project required an upgrade of sidewalks and the construction of two pedestrian overpasses, along with major signage changes, street lighting, and new concrete parapets. Connecting Vancouver and Richmond, BC, the Oak Street Bridge and its approaches required a total resurfacing. Kingston Construction completed the project 15 days early, despite the addition of a complete concrete overlay which was not included in the original scope of the project. This bridge is a 4 lane 230 meter long bridge on the Trans-Canada Highway carrying traffic over Nelson Creek in West Vancouver, 3 KM east of Horseshoe Bay Terminal. The scope of this project consisted of concrete layovers over all pier grade beams, construction of the shear walls to enclose and strengthen the west abutment approach span, replacement of bearings, drilling and grouting an extensive quantity of Dywidag bars and dowels and supply and installation of additional piles for east abutment alterations. Work on the deck and superstructure consisted of additional shear keys and diaphragms between girders, expansion joint replacement, repair and resurfacing the entire bridge deck with a high performance fiber reinforced concrete. Environmental care was paramount as Nelson Creek is the home of a fish hatchery upstream. Access issues necessitated construction of temporary roads to work on substructure over existing hiking trails, shoring and rock stabilization of steep rocky terrain. Temporary Stair towers, walkways and playforms were installed to access piers and diaphragms under the deck. Temporary fencing and rock guards were installed to prohibits damage to railway and railway tunnel below the west bridge structure. Extensive traffic control and signage kept 4 lanes of traffic flowing through on the bridge deck for the entire project duration by completing surface work in 3 stages. This seismic retrofit to the Mission Bridge in Mission, BC consists of an upgrade to the bridge to maintain structural integrity in the event of a major earthquake. Pier footings have received concrete overlays. Pier column to beam connections have been strengthened with fiberglass wraps; dywidag bar installations, port tensioning and concrete overlays. Steel beams have been extended, bearings replaced and steel shear pins keyways and splice plates have been installed to limit displacement of beams. Deck expansion joints have been removed and replaced. 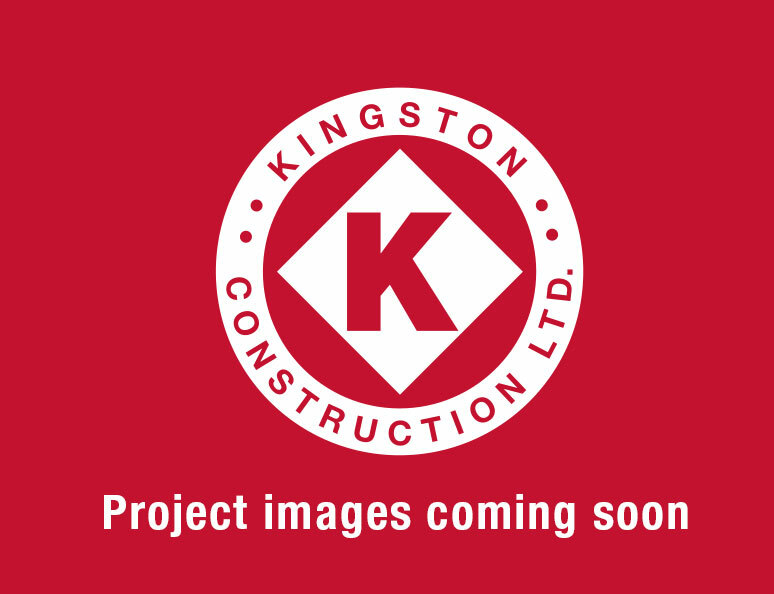 As part of an upgrade and refurbishment of the Lions Gate Bridge, Kingston was contracted to complete the original footings and piers. The work in the water portion of this project made it especially challenging due to the environmental impacts, tides and marine traffic. The Knight Street Bridge connects the municipalities of Vancouver and Richmond over the Fraser River in BC. Kingston Construction completed critical upgrades to the bridge substructure including concrete overlays, shear walls, fibre reinforced polymers wraps, and extensive coring. The Alex Fraser Bridge is an essential link between Richmond, New Westminster, and Delta, BC. Kingston Construction assisted in the removal and replacement of four existing expansion joints. Project challenges included working with high strength concrete, hydro demolition, and heavy traffic. Sande Street bridge rehabilitation work includes resurfacing the bridge deck to improve the running surface and preserve the existing bridge superstructure. The Rehabilitation Program for the Kensington Avenue Overpass include replacement of approximately 98m of concrete deck joint; minor concrete repairs and welding of existing hatches to the main superstructure and cleaning of existing box girders. The cypress creek bridge retrofitting includes shear key construction, abutment retrofit, fibre-reinforced concrete deck overlay, deck joint installation, bearing replacement, concrete repairs, polyester polymer concrete overlay, traffic management, quality management, environmental mitigation, mobilization/demobilization, clean-up and site restoration. • Remove vegetation growth impeding the structure. • Installation of concrete bumper blocks at all bearing locations. • Clean and unclog weep drains at face of both abutments. The structural rehabilitation and seismic upgrade of two bridges on gaglardi way consisted of fibre-reinforced concrete deck overlays; crash barrier replacements; link decks; abutment bearing replacements; transverse and abutment shear keys; general concrete repairs and anti-graffiti coatings. This project also involved high volume 24hr traffic management and environmental protection, fish salvage and sediment control when constructing the retaining walls and slope protection drainage modifications adjacent to the Brunette River.